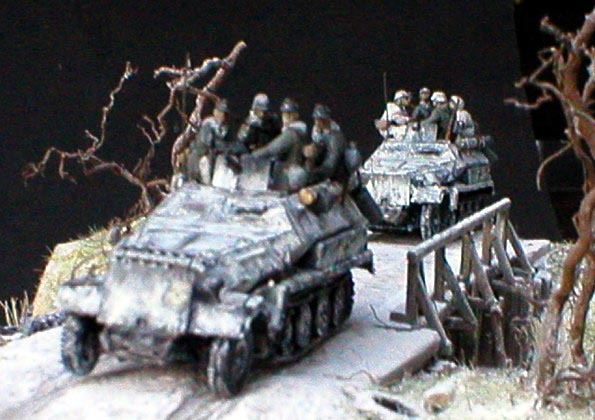 This dio shows SS-Panzergrenadiers and two Sd.Kfz. 251/1 of the 11.Kompanie, III.Batallion,SS-Panzergrenadier-Regiment 2 -1.SS-Panzer-Division "LSSAH" near Federovka in March 1943. 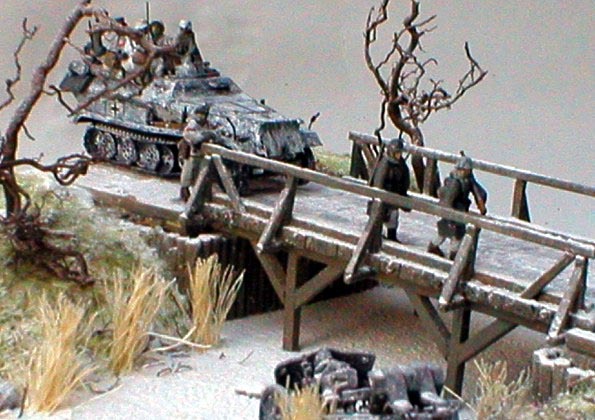 The damaged 10,5cm gun is from Revell, the Sd.Kfz. 251/1 are from Esci, built straight out of the box with a light modification only. The additional front armor /steel plate/ is made of plastic sheet. This modification was typical for the Sd.Kfz. 251 of the III./PGR 2 "LSSAH". 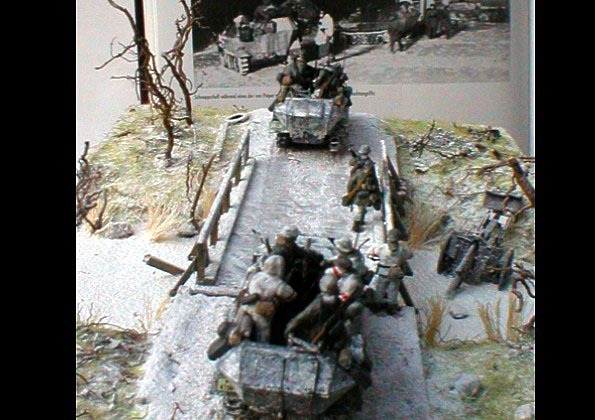 The figures are completed from Nebelwerfer crew by Esci.